Ray Comfort was once the unlikely prisoner of debilitating panic attacks. He knows from firsthand experience that these practical principles are keys that unlock the chains! "What my therapist couldn't do in thirty-plus visits, this book did for me in one sitting." "I am 13 years old and I had been having panic attacks over the last few months. They are the most scary things I have endured in a long time, but then I heard about, Overcoming Panic Attacks. 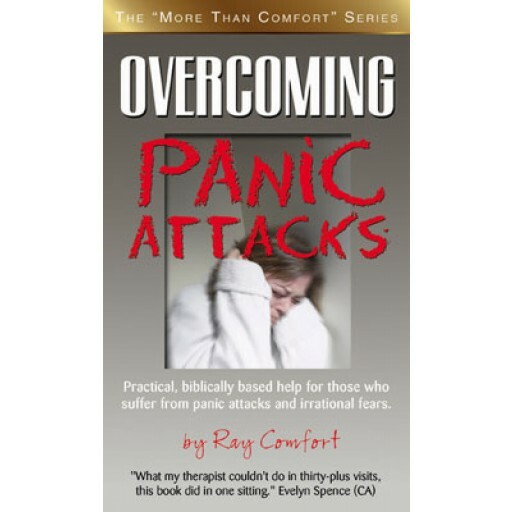 I bought the book and since reading the book and applying what it says I have not had a panic attack for over a month now." "This little book was so informative and as someone who suffers from anxiety , it gave me a lot of insight into my own situation. 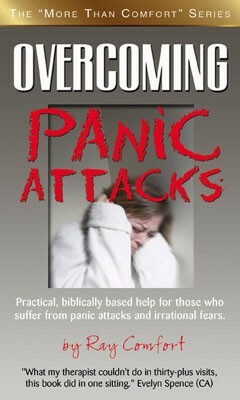 This book has a Christian spin of the topic of anxiety that I thinks is superb!!! It was really really helpful for me and I am so glad that I brought it!" "Through this book I came to believe that others can relate to my experiences of irrational fear and panic. Ray gave helpful, practical advice to utilize at the moment of the attacks. Which bred hope. Most importantly, he shared the truth about God's sovereignty and goodness, even in the midst of suffering, which gives eternal hope." "Awesome!! This is great! It's been so helpful that I've bought more copies of this book for others that needed the help."